This article discusses the necessity of Short Range Air Defense (SHORAD) systems as new and old threats become increasingly relevant to U.S. military operations around the world. In the last two decades, the U.S. military has had air superiority, thus minimizing the need for interceptors of air breathing threats; however the emergence of Unmanned Aerial Systems (UASs), Cruise Missiles, and Long Range Rockets (LRRs) poses a threat if not addressed with capable systems. The U.S. Army has placed SHORAD back on the radar and has begun to look at re-activating units back to this core competency. The threat always existed, however the U.S. military recognizes the “gaps” that exist and will seek to further protect the force from a potential threat. This article will identify the threat that is of most concern and how SHORAD operations will have to modernize to balance those threats. Before PATRIOT Missile systems dominated the U.S. Air Defense theme, there were several different air defense systems primarily focusing on air breathing threats, such as the HAWK System, the Bradley linebacker, and the Avenger Stinger system to name a few. As the threat of ballistic missiles became increasingly relevant, the demand for short range air defense systems declined as a result of SHORAD’s inability to intercept incoming ballistic missiles. The PATRIOT missile system made such an impact during the Gulf War, that improvements to the system were prioritized by the U.S. government. Almost two decades, SHORAD of the U.S. have been overshadowed and minimized due to the proliferation and threat of medium range ballistic missiles (MRBMs). 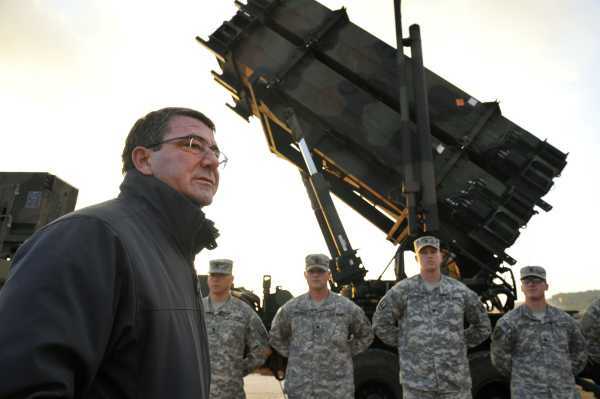 In fact, upper tier systems such as the AEGIS and the Terminal High Altitude Area Air Defense Systems (THAAD) have been the focal point of the U.S. because of the severity of the threat of MRBMs with multiple warheads capable of chemical, biological, and nuclear munitions. The U.S. along with key allied partners have created a missile defense posture to protect Europe from regional threats based upon a high probable ballistic missile threat. Ballistic Missile Defense is fast becoming what we might call a “new deterrence,” complementing legacy strategic defense and traditional nuclear deterrence. Now that the Tactical Ballistic Missiles (TBMs) threat has been addressed with very capable systems, the enemy is now developing smaller weapons such as cruise missiles and unmanned aerial systems (UAS) to exploit gaps of a nation’s air defense. The reality of the enemy deploying such a small scale attack is highly likely because not only are cruise missiles and UAS becoming easy to acquire, they can create a political and rules of engagement (ROE) conundrum when deployed. An example would be an unarmed UAS loitering over deployed forces around the world and what would be the repercussions if a system was intercepted if in fact it can be intercept due to limited coverage? During this article, we will re-discover the importance of SHORAD and the vital role it plays among Integrated Air and Missile Defense (IAMD). Every U.S. commander understands the definition of “shaping the battlefield”. Shaping operations as it’s defined in the Army Doctrine Reference Publication 3-0, Unified Land Operations is an “operation that establishes conditions for the decisive operation through effects on the enemy, other actors, and the terrain”. During the Iraq and Afghanistan Wars, the U.S. have shaped the battlefield in such a manner, Commanders have assumed risk on SHORAD as part of maneuver operations. Our unequivocal air superiority within those wars have supported decision makers to scale back and deactivate SHORAD units. The enemy we face in Iraq and Afghanistan is not generating and flying aircraft not only because our lethal air to air capability, but they simply do not have the capability and resources to train and sustain an air force. It would be prudent to say the U.S. Airforce has created an environment that only friendly forces operate within the airspace of the before mentioned countries. This kind of “shaping”, although very critical has created an opportunity for the enemy to exploit the gaps that exists in Combat Air Patrols, Radar Coverage, and unprotected assets. The U.S. Military Civilian Leadership recognizes that such gaps would be detriment to the mission if not addressed. Secretary of Defense Ashton Carter, who said, “the Pentagon must always have a watchful eye on the horizon, anticipating needs and gaps in capabilities before they become dire.” SHORAD provides a unique capability to “re-address” some residual issues created by air superiority. SHORAD systems typically can be emplaced quickly should the threat assessment change and can be put in places where radar coverage is degraded or non-existing. As an Air Defense Officer, I was always reminded that you cannot protect every asset, therefore you have to define the Critical Asset List (CAL) which will ultimately become a Defended Asset List (DAL) once approved by higher. Most likely the enemy will assess the same High Payoff Targets (HPTs) to target, therefore the enemy will assume you have an air defense in place and may confirm it using an armed or unarmed UAS. The key to defending assets is to have the best crew on site, well maintained weapons, and early warning. But what if you’re defending an asset with a High to Medium Air Defense System such as PATRIOT? One would assume that intelligence preparation has yielded that there’s no threat of low flying cruise missiles or attacks coming from the back where radar coverage is limited. Today’s emerging threats have shown the propensity to involve a myriad of threats that mandates SHORAD capability to be placed back on the priority list. Determining the threat in any conflict will require the nation in defense to have solutions to counter such threats. The challenge is developing, testing, and fielding a system quickly to address the threat before the threat becomes obsolete or evolves. Ideally, the weapon solution to a threat will evolve at the same time providing a capability of protection or address future threats in deterrence. The PATRIOT missile system has been upgraded many times to face evolving TBMs and has proven to be successful in combat over and over. Finding a SHORAD weapon system that can be a base platform for future upgrades to counter the threat is the next chapter for the U.S. air defense. Providing air defense utilizing systems such as PATRIOT requires “Joint” involvement, which means there has to be a common operating picture across services. SHORAD primarily operated in a semi-autonomous fashion only reporting to higher when a threat was neutralized. Former Chairman of the oint Chiefs of Staff Gen. Martin E. Dempsey stressed the importance of cooperation among the U.S. armed forces, stating that “improved cooperation hinges on viewing military problems from a comprehensive cross-domain perspective rather than viewing them through an individual service lens. When it comes to command and control, the U.S. has the tactics, techniques, and procedures (TTPs) in place to communicate in a joint environment, but the short comings are the hardware and software packages to communicate securely and sharing of data. Once SHORAD is integrated back into the mix, the system gaps will have to be addressed by a capable command and control system in order to avoid over engagements and fratricides. Once that problem is solved, an even larger problem still exists when the U.S. supports allied nations with an air defense package. In order to have a strong air defense strategy, sharing of information will have to occur near real time in order to reasonably protect assets. Currently there are only interim solutions and “work arounds” to this problem. The problem deals with cyber security and agreed upon operations plans and procedures. Brigade Combat teams are awaiting to round off their formations with a viable anti-access/area denial (A2/AD) capability. This will also present a challenge in selecting what platform will return to the BCT formations and how would the system architect look? In the next few paragraphs, we will examine the threat that requires SHORAD capabilities. 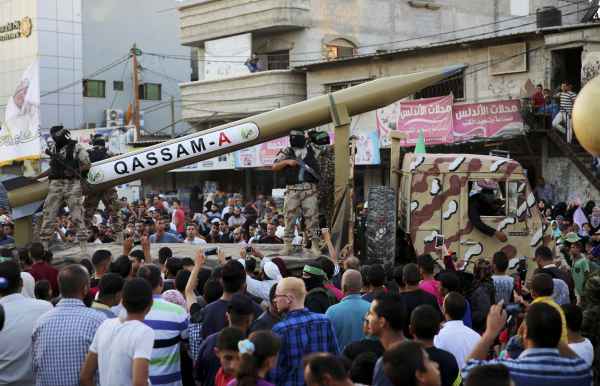 The Long Range Rocket (LRR) has posed a threat to nations such as Israel for some time. A LRR is defined as a rocket having a range of 40-60 km. A LRR provides the enemy with a lethal capability because of the launch to impact time associated with these rockets. This leaves an air defense operation little to no time to identify and engage this threat. An air defense system addressing this threat will require to be pre-programmed and autonomous in order to be impactful. If the U.S. faces an enemy with this capability, there will have to be significant planning in order to protect, intercept and degrade the enemy ability to employ these rockets. In order to assess the unmanned aerial System threat, we should consider the U.S. UAS capability. The U.S. has some very lethal UASs which can not only provide surveillance, but can carry weapon payloads for kinetic purposes. We have all seen or heard about the Predators which come in a host of configurations. Designed originally as a surveillance aircraft, Predators were upgraded to carry hellfire missiles capable of hitting targets three to five miles away. The enemy of tomorrow have developed similar technology and will come up with ingenious ways to employ these weapons such as launching from shipping containers. UAS systems pose a threat because of their ability to “pop” up out of nowhere and fly through radar gaps. Countering UAS could be managed by emplacing SHORAD forces with capable systems in most likely avenues of approach or gaps in radar coverage. A SHORAD system with a 360 degree radar placed toward the threat could provide enough early warning and intercept to neutralize the threat. Cruise Missiles are by far one of the most difficult threats to deal with. Cruise Missiles can be launched from a ground based launcher, a ship, and even delivered from an aircraft. What makes the Cruise Missile such a lethal weapon is its ability to fly low, slow, and maneuver. Air Defense Systems and crews struggle to detect and identify Cruise Missiles generally because they fly an abnormal profile. Some newer cruise missiles have radar-evading stealth features making them even less visible to radar and infrared detectors. The low-flying missiles also can overwhelm defenses by attacking with multiple missiles coming from different directions and defeating air defenses at their weakest points. They also can fly circuitous routes to reach targets, avoiding radar and air defenses. The Cruise Missile is one of the threats that has forced PATRIOT to constantly evolve. Expensive software and missile upgrades have been implemented in order to defeat this threat, however a specialized SHORAD system with maneuverability would best serve this purpose. In the last 12 years, the U.S. air defense forces transformed its SHORAD capability to satisfy an immediate threat of rockets and mortars. In order to man the solution to such a threat, most of the SHORAD units were deactivated and or crossed trained to fill the ranks of an Indirect Fire Protection Capability (IFPC). Nevertheless, the skillset of a Short Range Air defender were lost and much of the weapon systems were left in a “moth-balled” state. In order to regain the skillsets and lethality expected of SHORAD Officers and Non-commissioned Officers, the U.S. Army will not only have to bring back those schools that focuses on those competencies, but new tactics would have to be taught as well. The previous training model was once selected to serve in the Air Defense Artillery Branch, an Officer would have to attend an Officer Basic Course which taught the Officer how to assume control of a platoon sized element. Then the Officer would undergo specialized training focusing on the weapon system. Essentially, you would have a High to Medium Range Air Defense (HIMAD) trained Officer and a SHORAD Officer. There are several pros and cons about having two distinctly trained Officers. By being specialized, an Officer can become intimately familiar with his weapon system and battle drills. As a downfall, the flexibility of a specialist would limit the Officer’s ability to serve in the other discipline. There were transition schools to cross-train Officers, however the root problem still existed, which is having the stigma of either HIMAD or SHORAD as a “strength” or “weakness” when assessed. If an Officer stayed much of his or her career in either discipline, it would be challenging to lead in the other discipline. Equipping SHORAD units in this era requires systems that can maneuver alongside maneuver formations and can maintain connectivity with other air defense assets for early warning and reporting. Most of the U.S. army has been focused on highly maneuverable infantry and artillery vehicles while air defense elements focused on protecting air bases in a static position. Legacy air defense systems were suitable to maneuver with infantry units, however they had limited radar coverage and ability to communicate with robust air defense elements. The next generation of SHORAD systems will have to be equivalent to a “Swiss Army knife”. There are so many requirements out there that multiple systems may have to be developed. The U.S. Army is taking another look at existing systems to determine if they can be effective with upgrades and enhancements. Boeing Corporation offers a multi-mission Avenger that would ensure air defenders and maneuver commanders remain on the cutting edge of aerial threat protection for several generations of conflict to come. Overall, bringing back SHORAD units has it’s challenges, but the materiel solution is not one of them, although packaging, procuring, and fielding will be. The aerial threats of today have always been acknowledged, however both economic and political decisions has played a role in how the U.S. military strategy determines what an immediate need is. The U.S. SHORAD capability never really went away, it only transformed to deal with actual threats in war time. What is clear is the need to place more interests in SHORAD to provide more than just a static air and missile defense (AMD) capability. There are solutions to all the threats mentioned earlier, the key will be having them in place or ready to perform when these threats are present. The U.S. has its own offensive aerial capability both ground based and sea. These capabilities play a key factor before rogue nations consider attacks on U.S. allies and bases around the world. Bolstering SHORAD will only provide more flexibility when addressing threats. * Lewis Clark II holds a Masters in Aeronautical Science from Embry Riddle Aeronautical University. He has served in both Short Range Air Defense and PATRIOT and has served four combat tours to Iraq and Afghanistan. He currently is G7, 32d Army Air and Missile Defense Command (AAMDC). Andrew A. Michta, When Missile Defense Is About More Than Missiles, February 20, 2014, The Best Offense, accessed 02 Jan 2017, http://www.the-american-interest.com/2014/02/20/. Army Doctrine Reference Publication ADARP 3-0, Unified Land Operations May 2012. Holman, Kwame, Drones: What are they and how do they work? BBC News, 31 Jan 2012, accessed 03 Jan 2017, www.bbc.com/news/world-south-asia.